What are the best fuel discount programs? Let’s face it, despite price fluctuations, the cost of petrol probably isn’t going to become cheap anytime soon. With many car fuel tanks over 50 litres, many of us are regularly spending over that each time we fill up. A massive 59% of Canstar Blue survey respondents said that the cost of fuel is a major strain on their finances, and that was most true for younger drivers aged 18-29. Nearly half of respondents (47%) also said they fill up at the same station regardless of price. But what you might not know is, with petrol it still pays to shop around. Not only that, but signing up to various loyalty programs that petrol stations offer can also be a good way to save a few bucks, or earn yourself some rewards. So, what do the petrol stations offer? Let’s take a look and offer a guide as to which might be best for your bowser budget. 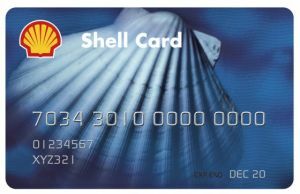 These are probably the most popular and well-known of fuel loyalty cards, with Coles and Woolworths dominating the petrol landscape in Australia for quite some time. In partnership with Shell, the Coles Express modus operandi for some time now has been to offer 4c off per litre of fuel when you spend $30 or more at a Coles-owned store, including Coles itself, Liquorland or Bi-Lo. 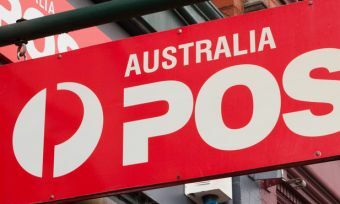 There are nearly 700 Coles Express stores nationwide, and Flybuys are also available. With Flybuys you can earn points on fuel, with 2,000 points available for every $10 spent. If you hit the road a lot, this could add up big time. In partnership with Caltex, Woolworths has much the same type of deal as Coles in that you can save 4c per litre if you spend over $30 on your groceries. Given the Woolworths group owns Safeway, BWS, Dan Murphy’s and Big W, the potential to rack up savings is made easy. In some cases, you can even save 8c per litre on fuel, and with Woolies’ Everyday Rewards program, you can earn one point per dollar spent. That’s the bright orange card that’s probably floating around in your wallet somewhere. Costco sources its fuel from Mobil, so you get the same product you’d expect from the well-renowned service station. As most of us know, Costco is a big-box supermarket, specialising in bulk discounts and huge jars of Nutella. As for its fuel, with Costco you can expect prices to be cheaper by a couple of cents per litre over the competitors. The catch is that you need to pay for it at the pump and be a member of Costco, which costs around $60 a year, which will require quite a few fill ups to negate. You may know 7-Eleven as the place to get a dirty street pie and 2-for-$6 Powerades after a big night out, but 7-Eleven uses Mobil fuels to deliver a competitive alternative to other servos. 7-Eleven’s service stations offer a rewards credit card with no monthly fee – but a 35c fee per transaction – and you get a discount on the fuel you buy. What’s more is that 7-Eleven has a ‘Fuel Watch’ app, where you can scan for the best deal in your area, and lock-in the price for seven days. You can time this for when the fuel cycle is cheapest and potentially save some dollars. You could then use that money to buy a Slurpee. If you do not like what the supermarkets have to offer then don’t fret, because the regular old service stations also have a range of discount and rewards programs to tempt you in. The Dutch company seems to be popping up everywhere, having acquired Neumann petrol stations. Puma doesn’t have any official nationwide supermarket affiliations, but in Western Australia you can expect to save 4c off a litre if you shop and spend at IGA stores. It also has a fuel card system with low fees, along with online management. With over 400 locations Australia-wide, Puma is fast becoming a great competitor in the petrol station battle. BP became the first fuel company in Australia to announce an external rewards program partnership when it teamed up with Virgin Australia’s Velocity Frequent Flyer program to offer motorists frequent flyer points for every stop at the bowser. From time to time, you can earn bonus points by signing up to Velocity and filling up at a BP servo. BP has more than 1,000 locations around the country. Caltex has partnered with the Myer One rewards program to deliver incentives to swipe every time you fill up. For every 2,000 points you accumulate you get a $20 Myer voucher. One point is accumulated for every single dollar spent. While this is available at ‘participating outlets’, you’ll find most Caltex locations participate. Membership is also free, so it’s a great way to effectively turn fuel into designer jeans. If none of the above sound like good options for you, then going for a smaller – but still viable – rewards program may be an option. What’s more is that you may in fact be benefiting Aussie small businesses in the process. Founded out of a desire to challenge the big players in the supermarket market, Certified Locals is a program designed to encourage shoppers to buy from local ‘Mum and Dad’ stores across Australia. You can earn points at its participating businesses to earn fuel discounts. The fuel discounts available change regularly, but the mission remains the same: “To help local businesses remain the heart and soul of their community”. You can use the card of the smartphone app to earn points. Certified Locals itself is 100 per cent Aussie owned and operated. EasyFuel offers a discount on fuel with a difference. With this program, you can even accumulate the discount until you have enough to save 20c per litre on a 50L tank of fuel. The list of places where you can earn points is long and diverse, but most are generally independent, family-owned businesses. It’s not just food either – anything from carpet cleaning to automotive services is covered. Participating service stations also vary, from Humpty Doo to Wonglepong and everywhere around and in between. Watch out for that expiry date though – EasyFuel discounts only last 60 days. Fuel sense with FuelCents – this program allows you to save up to and over 20c per litre on fuel with a points-accumulation system. You can redeem FuelCents at over 2,000 petrol stations nationwide. You have a maximum claim value of 80 litres and you can save up to 10c a litre off a $100 purchase, so the more you spend the more you save. You will need the FuelCents smartphone app to participate though. Are fuel discounts worth the effort? The end message is that no matter where you shop, always be on the lookout for various discounts or rewards programs that can help you save the next time you go to fill your car up. While it rarely makes sense to just spend money – usually $30 or more – to save a few cents per litre of fuel, timing up your fuel purchase in lieu of your grocery shop can save you a few dollars here and there. This can add up in the long run. However, if you don’t fancy lining the big grocery chains’ pockets any further, there are a number of smaller rewards programs that nobly help support small and independent businesses. In the end, it’s worth shopping around, and shopping smartly – the end result could be quite a saving off your annual fuel bill.